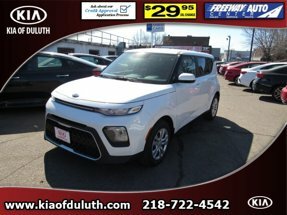 Description When you're ready to upgrade your ride, opt for this 2018 Kia Soul + AUTO, which includes features such as backup camera, Bluetooth, braking assist, hill start assist, stability control, traction control, anti-lock brakes, dual airbags, side air bag system, and digital display. We've got it for $26,575. Drive away with an impeccable 5-star crash test rating and prepare yourself for any situation. It has a suave blue/white roof exterior and a black interior. Avoid costly cell phone tickets with the built-in Bluetooth feature. Call today and take this one out for a spin!